20 September 2014: Government authorities in the UK declared that the “Yes” campaign for secession had failed by a margin of approximately 55 percent to 45 percent. Yet, even without a majority vote for secession, the campaign for separation from the United Kingdom already provided numerous insights into the future of secession movements and those who defended the status quo. Global elite institutions and individuals including Goldman Sachs, Alan Greenspan, David Cameron and several major banks pulled out all the stops to sow fear about independence as much as possible. Global bankers vowed to punish Scotland, declaring they would move out of Scotland if independence were declared. A Deutsche Bank report compared independence to the decision to return to the gold standard in the 1920s, and said it might spark a rerun of the Great Depression, at least north of the border. When it comes to predictions of economic doom, it doesn’t get much more hysterical than that. Except that it does. David Cameron nearly burst into tears begging the Scots not to vote for independence. The elite onslaught against secession employed at least two strategies. The first involved threats and “for your own good” lectures. Things will “not work out well” for Scotland in case of secession, intoned Robert Zoellick of the World Bank. John McCain implied that Scottish independence would be good for terrorists. The second strategy involved pleading and begging, which, of course, betrayed how truly fearful the West’s ruling class is of secession. In addition to Cameron’s histrionics based on nostalgia and maudlin appeals to not break “this family apart,” Cameron attempted (apparently successfully) to bribe the Scottish voters with numerous promises of more money, more autonomy, and more power within the UK. The threats that focused on the future of the Scottish monetary system are particularly telling. The very last thing that governments in London, Brussels, or Washington, DC want to see is an established Western country secede from a monetary system and join another in an orderly fashion. Political secession is bad enough, and is a thorn in the side of the EU which clearly hopes to establish itself someday as a perpetual union with no escape option. A successful withdrawal from a major global currency, even if to join the EMU later, would imply that countries have monetary options other than being absorbed wholesale (and permanently) by the EMU. While the Westminster elite were desperate to see the Scotland referendum fail, few argued that the Scots had no right to vote on the matter. Some argued that all of the UK should vote on it, but most observers appeared to simply accept that the Scots were entitled to vote by themselves on Scotland’s status in the UK. But in Europe, the mere existence of the Scotland referendum calls into question the legitimacy of efforts by central governments to ignore or prohibit local votes on independence. The Italian government has practically refused to even acknowledge the existence of the Venetian referendum, and the Spanish government in Madrid has already reiterated that it will ignore the results of the upcoming Catalonian vote. It will not go unnoticed that the people who ignore such democratic outcomes when they endanger the elite’s status quo are the same people who extol the virtues of democracy when it suits their centralizing purposes, or when used to justify foreign wars. 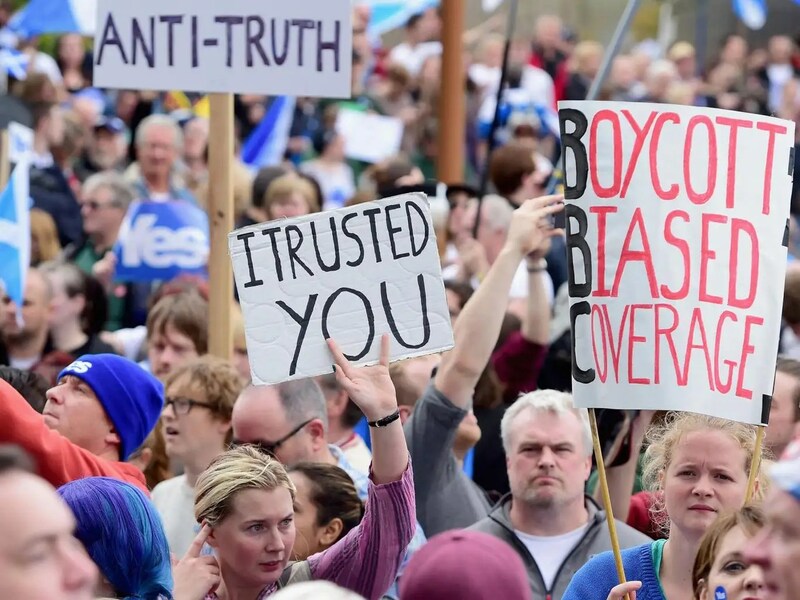 Those regimes that deny a vote or which refuse to recognize votes to secede will continue to appear more and more retrograde as time goes on, and much of this will be due to the nearly unchallenged Scottish prerogative to conduct local votes on secession. It’s interesting to note, however, that Scotland is not a wealthy area of the United Kingdom and from the point of view of budgets and tax revenues (ignoring the monetary dimension), England would not see much negative impact from Scotland’s departure. As we learned from the Scotland experience, centralizers fear secession to the point where they’re willing to throw a lot of bones to the secessionists. Of course, in the case of Scotland, which is a net tax-receiver region, these promises involved a lot of government welfare. In any case, threatening secession is a useful tactic in obtaining additional autonomy. Moreover, it is always helpful to force a central government to submit to a referendum on its legitimacy. This should not be done in a one-off election as the Scots have done, but as a regular feature of the political process. Ultimately, however, what really matters to the regime is that the ability to inflate the money supply and control the financial system. Politicians from the central government will be willing to part with many powers, but the power to inflate and control the banks will never be given up lightly. As predicted by a host of observers of trends in state legitimacy, the state’s status as the central fact in the political order of the world continues to decline with smaller national groups and economic regions breaking up the old order in favor of both local autonomy and international alliances. The Scottish secession effort is simply one of many recent examples. The short-term defeat of the referendum will do little to alter this trend. In addition, the economic realities of the modern world with constantly moving capital and labor will continue to undermine the modern nation-state which has been largely built on the idea of economic nationalism and the myth that national economic self-sufficiency can be obtained. The proliferation of trade among nations with huge national markets, labor forces, and a willingness to trade internationally has broken down the old national claims that only the nation-state can provide the markets, coercive power, and international clout necessary for economic growth. In fact, the Scots see access to international markets as something that is quite attainable without the added baggage of the central state to which they are presently beholden. Does Scotland need England to trade with China? I don’t think so!! Small nations do very well when it comes to economic performance, and smallness is hardly a liability. The assertion that bigger is better was always easily disprovable, but remained popular for centuries. The success of the Scottish secessionist claims that Scotland could indeed compete internationally has shown that the dominance of the old myth continues to break down. Europe-wide, the drive for more regional independence and autonomy will only continue to grow as economies stagnate, and as elites from London, Brussels or Rome or Madrid continue to maintain that they know best. Eventually, the promises of the centralizers will fall on very deaf ears. It rather negates the entire views of the author. Much of Scotland’s revenue contributed to the UK Treasury is disguised as NOT being Scottish. For example the entire oil & gas revenues are classed by Westminster as from, “Extra-Regio=Territory”, and claimed as UK assets. For statistical purposes only Westminster credits 8.4% as Scottish on a per capita basis. However, around 98% of that revenue is extracted from Scotland’s territorial waters. Furthermore, all Scottish products exported from other than Scottish ports & airports is counted as exported from the location of the port. Also much of the company head offices being situated in London has their tax credited as English tax. In fact Scotland’s per capita GDP is consistently higher than that of either England or the UK as a whole. Scots thus contribute individually more than any other part of the Union. I noted his assertion but included it since it supported his arguement that the English as a nation would let Scotland go since they were indoctrined to believe the Scot’s are spongers. and England would be well rid of the burden. The antics of the Civil Service, Cameron and his cohorts gave lie to their briefing of the English electorate.